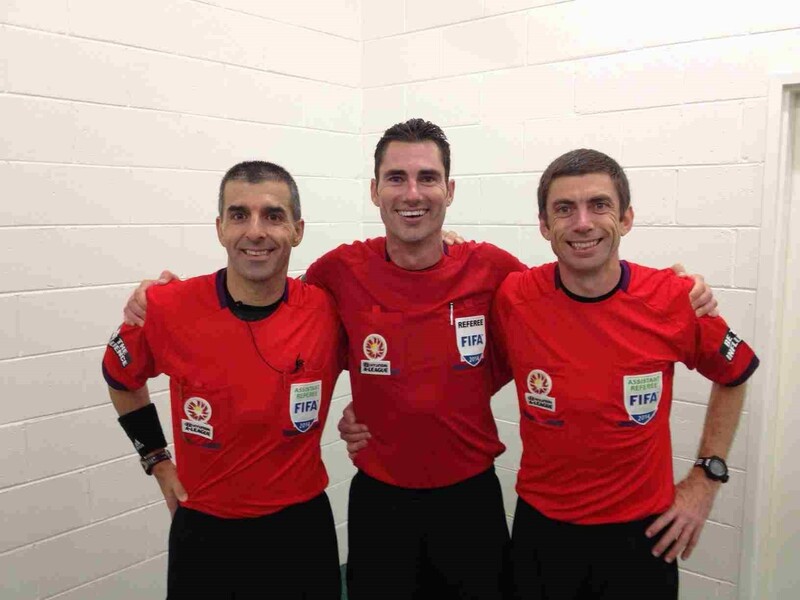 Ben Williams (middle) and assistant referees Hakan Anaz and Matthew Cream. 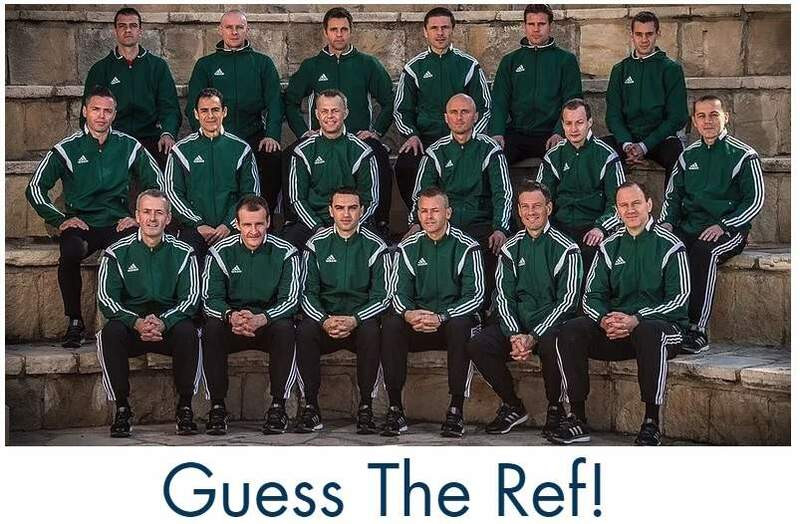 Photo provided by referee. 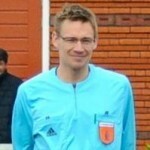 The Dutch Referee blog got an exclusive interview with World Cup referee Ben Williams from Australia. He answered three important questions about his selection, preparation and expectations of the 2014 World Cup in Brazil. Good luck with your tournament. 1. You are going to the World Cup as referee. How does that feel? 2. What did you do to prepare for that big tournament? 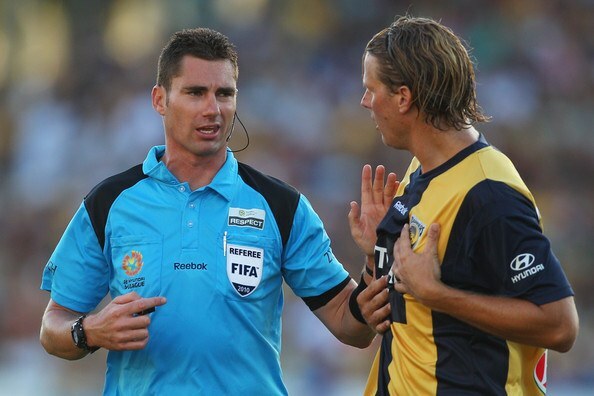 Ben Williams refereeing in Australia. Photo provided by referee. 3. What do you expect from 2014’s World Cup? Check out more profiles via the special World Cup 2014 page on my website. After the bites, head butts, own goals and a flying Dutchman, It promises to be an exciting tournament in the knock out stages. 2 faults on Van Den Borre misjudged: no yellow card for the first fault in the penalty area, he gave no penalty(and it was surely a penalty). second fault (at the end of the match) on Van Den Borre was an attack on his left leg: Williams saw nothing wrong. Result: serious injury for Van Den Borre. third fault: Referee Williams doesn’t let the play go on, but prefers to give a free kick (the play after the fault on a belgian player was in the advantage of the belgians, they had a good chance to score). I don’t know what to think about this referee. Ik know what was his purpose and his intention, but i can’t write it down, without having the FIFA on my back. He seemed to enjoy to disadvantage the belgians. He speaks English. Some teams speak English: do i need to say more? I did not see many World Cup matches due to a holiday, but Fifa gave him a last 16 match so must be more satisfied than you are. Will try to watch the match back.